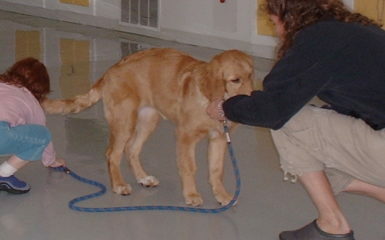 An important aspect of dog training is consistency. Creating consistency between multiple people can be a challenge. 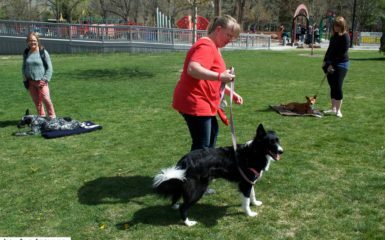 As result, I thought it would be helpful to share what I have learned to create consistency in households from my own experience and from my experience with my Salt Lake City dog training clients. Here is an example of one behavior. If you are wanting your dog to jump less when visitors come to your house it is important to have everyone in the household be on the same page. Your dog will have a difficult time learning to settle when people come over if some of the people in the household are allowing your dog to jump on people. My personal experience has shown me how dog obedience can be destroyed quickly when consistency is not occurring. When I lived with my daughter’s father, he was not consistent with Seiki’s training. I watched the years of training and effort I put toward Seiki’s training, go down the drain. Unfortunately in my situation, it wasn’t a result of communicating it was a result of allowing someone in my life that was not honoring my boundaries. I am sure you can only imagine the frustration and anger I felt as a Salt Lake City dog trainer. I would like your dog training experience to be different, so I was inspired to write this post for you. 1.) Get extremely clear with what you are wanting. Meditate and visualize obedience success with your dog. What are you doing with your dog? How are you performing the training? What needs to be done by others so you have the support you need? 2.) Set clear boundaries. This applies to romantic relationships, roommates, visitors etc. Be clear on what is an absolute no for you and what will not work in your life. Before you have someone live with you, voice these boundaries and ask them if they are willing to honor them. If it doesn’t work for them to follow these boundaries honor their request and look for someone else. After my divorce, I decided as a single mom it would be helpful for me to have a roommate. 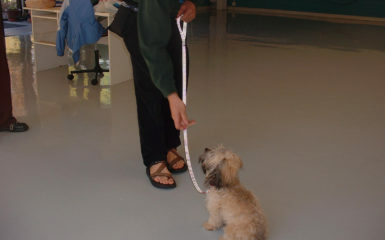 I was clear that I wanted to live with someone that loved dogs and was able to honor obedience training with Seiki. As a result, I manifested a roommate that is great with animals and has much knowledge about clicker training. 3.) Clearly communicate in a loving way. Express your wants in a friendly manner and avoid blaming other people for your problems. Here are some great ways to express your needs. 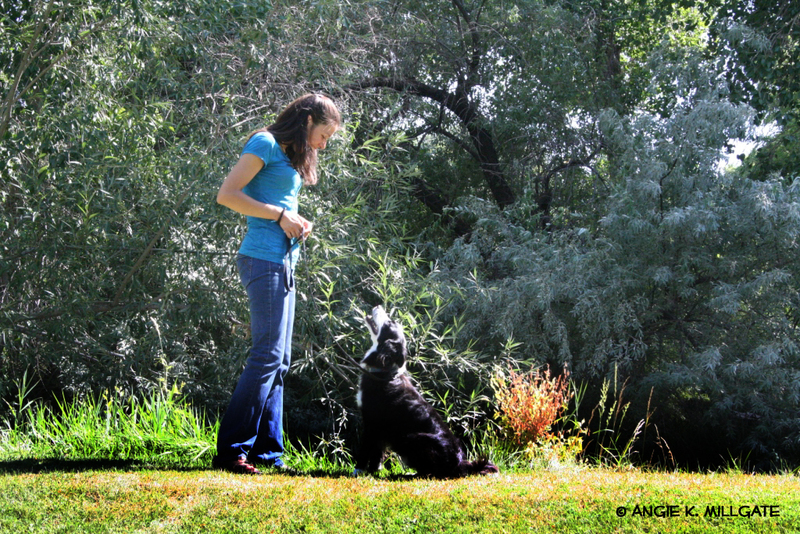 Training my dog is extremely important to me…. Would you be willing to……? I am noticing that my dog’s behavior is not going in the direction that I would like. I would like to create…..? Would you be willing to support me in this creation….? 4.) Be able to accept “no” from others. You cannot control other people. If they are not willing to support you and it is a no for them, this needs to be honored. However, your wants need to be honored too. You have the option of coming up with a win-win situation that will work for the both of you. You also have the option of voicing your “no” as well and coming up with a different solution. If you are struggling with this concept, Four Legged Scholars dog training, Salt Lake City is happy to support you! 5.) Place a sign on your door. If part of your obedience training involves visitors, talk to them before they come to your house and make sure they understand how they can support you. Put a sign on the outside of door to remind your visitors how they can support you and your dog. 6.) Re-evaluate. If the obedience training didn’t go as you planned, evaluate what occurred. What do you and others need to do keep doing? What do you and others need to do differently? Now communicate it. 7.) Video tape professional dog training sessions. If you are working with a professional dog trainer, and not everyone is able to attend all of the training sessions, you can video tape the training session on your Android or Iphone. Then download the video to Dropbox.com or Google Drive. 8.) Shift your own emotions and be accountable before asking for support. If you are feeling angry, fearful, or sad, this may not be the best time to discuss the training issues that are triggering you. Instead, take a break from expressing yourself to the person. Shift your emotions from a lower vibration to a higher vibration. Once you have shifted, away from blame, now it is time to talk. 9.) Forgiveness. Forgive yourself if you don’t communicate in a healthy manner. Forgive your support system if they forget to honor your boundaries. Having an open and receptive heart is important to your success. Now recommit to what you are wanting to create. 10.) You are not responsible for other people’s emotions. Remember you are only only responsible for your own actions, thoughts and emotions. Yes be conscious with how you speak and act. However, you cannot control how someone else feels. Especially when you expressed in a friendly and loving manner, do not make yourself feel guilty for someone who is not willing to honor your boundaries . This is a common issue I see with many of my Salt Lake City dog training clients. 11.) Hold family meetings. If you have a large household. It could be extremely helpful to meet once a week with everyone in the household. Talk about applying the above concepts. 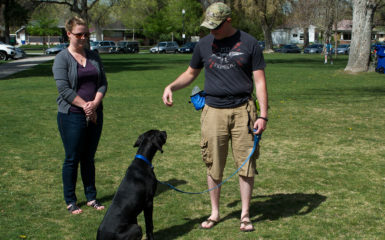 Our Salt Lake City, dog training company is excited to hear your perspective! How many people live in your household? What tips above will you apply? If you have already applied many of them which ones have you found to be the most helpful? Great tips – it’s so important to create consistency and set expectation. That is a great blog! Our lab is 8 years old, we had a trainer since she was a puppy, but when my inlays come over all that she learns go out of the window.. she knows she can get away with murder with them! Patricia, I totally understand. My parents are in town at the moment so I was really inspired to write this blog!!! I would love to know what you end up applying when your inlaws come in town!! I totally believe you can do this!! Best of luck to you and let me know if I can further support you! Namaste! Consistency is definitely one of the problems here. Communication has been attempted, but the other party doesn’t want to listen.It will improve when I become the only adult in the house. I am hearing that you are heading to enforcing your boundaries more. Is that correct? What actions are you going to take to enforce them?